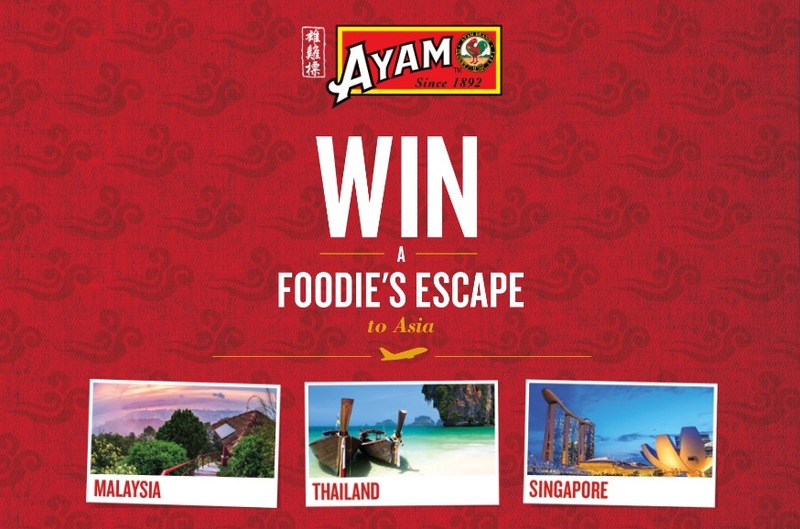 Enter now the Ayam Foodies Escape to Asia Promotion for your opportunity to Win a trip to Malaysia, Thailand or Singapore. This competition is open only to legal residents of Australia and New Zealand. Entrants under the age of 18 must have parent or legal guardian approval to enter. To enter you need to purchase two or more AYAM products from any retailer and keep your receipt, then visit the competition web page located at winwithayam.com.au and completely fill in the entry form with your name, last name, email address, post code, country and the details of your purchase, including an image of your receipt. Promotion ends on 22 April 2019 at 11:59 pm AEST. Winners will be selected by random draw from all eligible entries. The Ayam Foodies Escape to Asia Promotion commences on 29 January 2019 and concludes on 22 April 2019. There will be three draws to take place on 26 February, 26 march and 23 April, 2019. Winners will be notified by email.